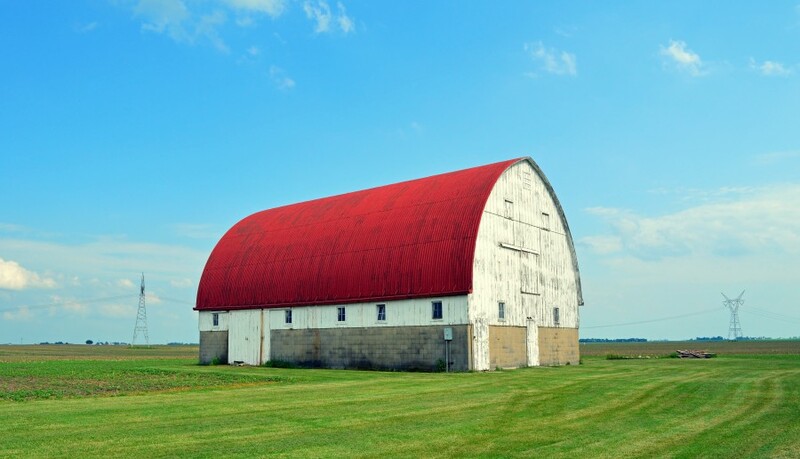 A wondrous barn! Excellent capture. I like the towers on each side, the one on the right, for whatever reason, reminding me of Voltron (my brain is still full of cartoons from youth I guess). Thank you Scott! I had to google Voltron 🙂 and you are exactly right – that tower does resemble it (him?) 🙂 Thanks Scott. Love the color contrast of the roof and the sky! Hi there tdash, thank you! Here’s to less humid weather and lots of pretty landscapes :-).